Meet the envy-inducing, water resistant Full HD smartphone with a premium 13MP camera boasting the best of Sony. 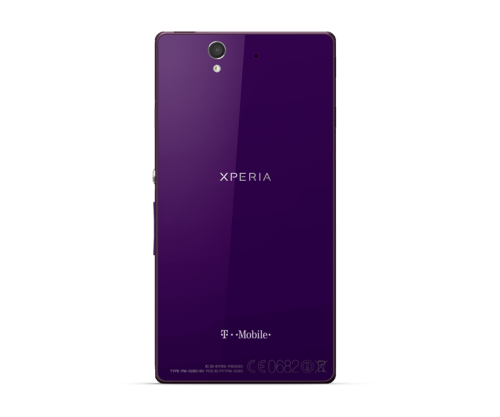 Xperia™ Z scoffs in the face of spills, splashes and even total submersion that would send other phones to their watery grave2. Get lost in the size and sheer beauty of the razor sharp 5-inch Full 1920×1080 HD display. Capture sophisticated stills and epic videos with the 13MP camera's highly advanced sensor featuring HDR video that won't let lighting conditions – either too dim or too bright – ruin the moment. Accomplish more, faster, with a Snapdragon™ S4 Pro quad-core processor that gets you what you want without the wait. Get amazing speeds on T-mobile's 4G LTE network. 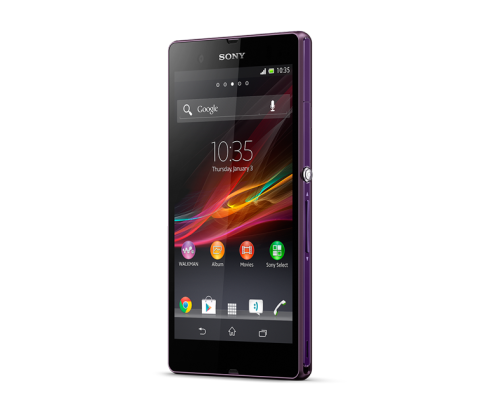 Meet the envy-inducing, water resistant Full HD smartphone with a premium 13MP camera boasting the best of Sony. Xperia™ Z scoffs in the face of spills, splashes and even total submersion that would send other phones to their watery grave2. Get lost in the size and sheer beauty of the razor sharp 5-inch Full 1920×1080 HD display. Capture sophisticated stills and epic videos with the 13MP camera’s highly advanced sensor featuring HDR video that won’t let lighting conditions – either too dim or too bright – ruin the moment. Accomplish more, faster, with a Snapdragon™ S4 Pro quad-core processor that gets you what you want without the wait. Get amazing speeds on T-mobile’s 4G LTE network. Xperia Z boldly goes where no phone’s gone before: underwater. Forget living in constant fear of spills, splashes or even total submersion. Xperia Z’s revolutionary water resistant design stands up the wettest of conditions, even complete submersion in up to 3 feet of water for up to 30 minutes at a time2. So hang out by the pool, catch up on your emails during a leisurely soak in the tub, or swipe through a recipe with wet fingers worry free. This phone is great. It has it all. It has a quad-core processor, 2gbs of RAM for programs and it’s even waterproof. It has a great screen size and it is LTE. This model, the 6606 is better than the international ones because the LTE band works on T-Mobile. Plus the overlay is not too intrusive, like some phones are. I would highly recommend this phone. Sony makes great products. So Long AT&T! It’s been good to know you. I love the phone’s screen mirroring feature that exports effortlessly to my Bravia HDTV. The easy to implement power saving Stamina mode is much appreciated. 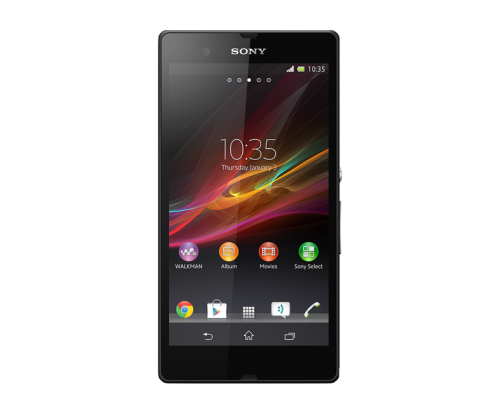 The Xperia’s full HD screen is superior in resolution and dimension to my daughter’s much beloved iPhone 5S – while still fitting easily in my pants pocket. The clever Smart Watch 2 and wireless Bluetooth headset really bring out the best in the phone. A relatively inexpensive 64GB Sony SDHC chip easily boosts this phone’s aggregate memory to a whopping 80GB. When I first bought this phone, I loved it. However, after only four months, despite taking good care of it, it would charge only half the time and that half was extremely slow. A week later, it would not charge at all. After researching this problem alone, I found that it was extremely common with this phone (you can Google it). However, I went against the reviews and under the warranty, I got a refurbished Xperia Z. After only one month, this one’s charger port ended up not working as well. This time, T-Mobile will not give me a new phone, despite it being a manufacturing problem. Despite all of the phone’s sleek features, its terrible charging port makes it completely useless. Great phone, but some serious issues..
1. The lack of a usb/hdmi connection on the D26 dock. The phone costs 600 bucks and doesn’t even have a dock that can sync data. 2. I’ve had the phone 3 weeks now and there is a short in the micro-usb connector. I have to wiggle the cord to make sure it’s charging. I have read elsewhere that this socket is weak and fails alot. With that socket as the only source for USB/HDMI connectivity, that’s a huge issue. 3. The battery life is a real problem. You have to keep this thing plugged in all the time. As you can see, all three of these issues are related to being consigned to using the micro-usb socket which is weak and will eventually fail.